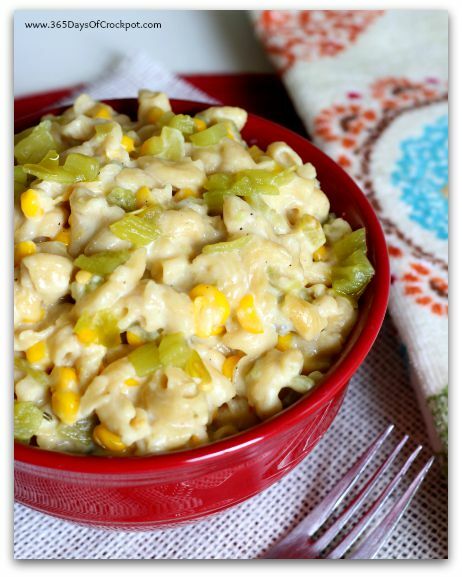 Slow Cooker Pepper Jack Mac with Green Chiles and Corn: A creamy, comforting and slightly spicy macaroni and cheese that’s made in the slow cooker. This is a perfect side dish for dinner or an offering at a potluck. Ever since I had success with the Slow Cooker Bacon Mac I wanted to try some other versions. 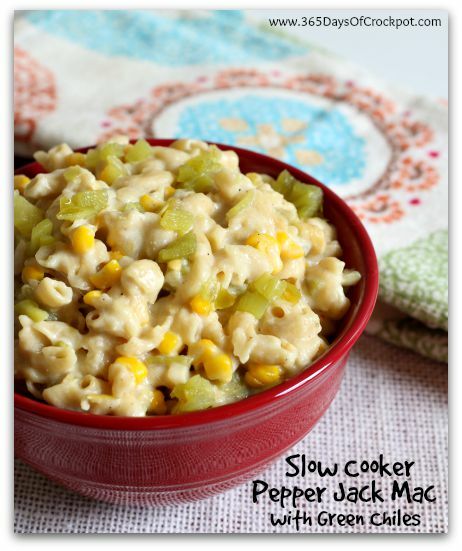 This version of slow cooker pepper jack mac with green chiles and corn is definitely a winner! I love the slightly sweet and flavor-giving green chiles and the mildly spicy pepper jack cheese. To me, far things are better than a bowl of homemade macaroni and cheese. 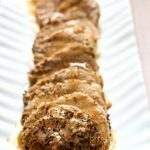 This recipe is so easy and totally hands off–even kids can make it! 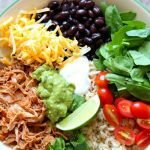 Even though it’s made in the slow cooker it actually doesn’t take very long to cook. I cooked mine for only 80 minutes. 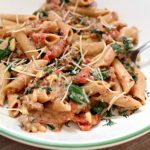 I like to use whole grain pasta because it seems to hold up better in the slow cooker and not get mushy like white pasta tends to do. 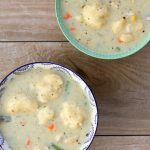 For these types of recipes I love to use my 3 Quart Casserole Crock. It’s a crockpot that is shaped in the size of a 9 x 13 inch pan. It is perfect for casserole recipes, breakfast casseroles, lasagnas, desserts, side dishes etc. I love the fact that the crock insert is oven safe so you can start or finish recipes in the oven. It’s pretty affordable too! 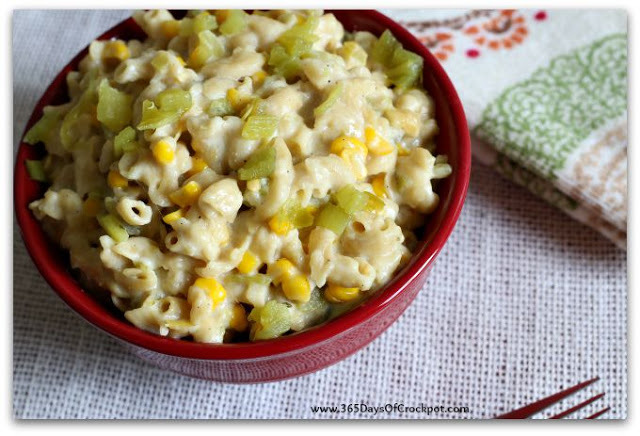 A creamy, comforting and slightly spicy macaroni and cheese that’s made in the slow cooker. This is a perfect side dish for dinner or an offering at a potluck. Place macaroni in the bottom of the slow cooker*. Pour water and half and half on the top. Sprinkle in the salt, pepper, garlic powder and green chiles. Cover and cook on HIGH for 60-90 minutes (mine took about 80 minutes). 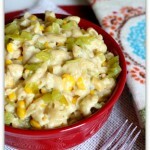 Remove the lid and gently stir in the shredded cheese and corn. 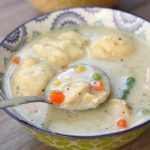 *I used my 3 quart casserole crock slow cooker for this recipe. This look great Karen! 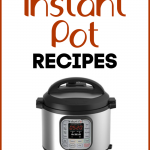 I love recipe that you don't have to cook the pasta first, a real time saver.